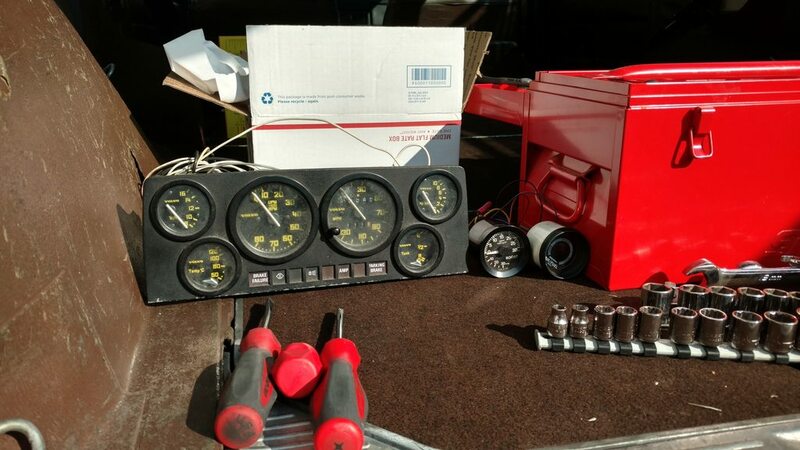 I'm going to attempt to install a R-Sport cluster I picked up at IPD last year into my 1979 245. I've read a couple install threads and it sounds like there may or may not be a repin of one of the connectors. 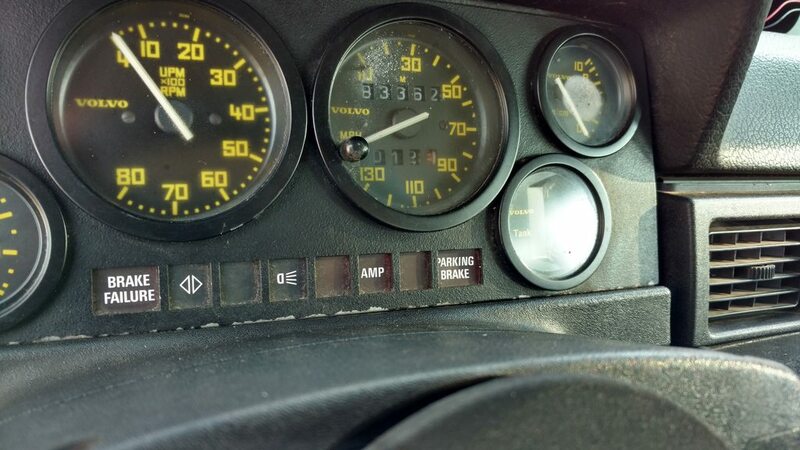 What I'm curious about is I think someone made some "mods" with this cluster and it might not "just plug in"
Anyone have input on installing one of these clusters? I think the only time you need to re-pin the connector is if you're using a 140 cluster in a 240 or vice versa. Is there a part number on one of the large gauges? It should be on a sticker like this. 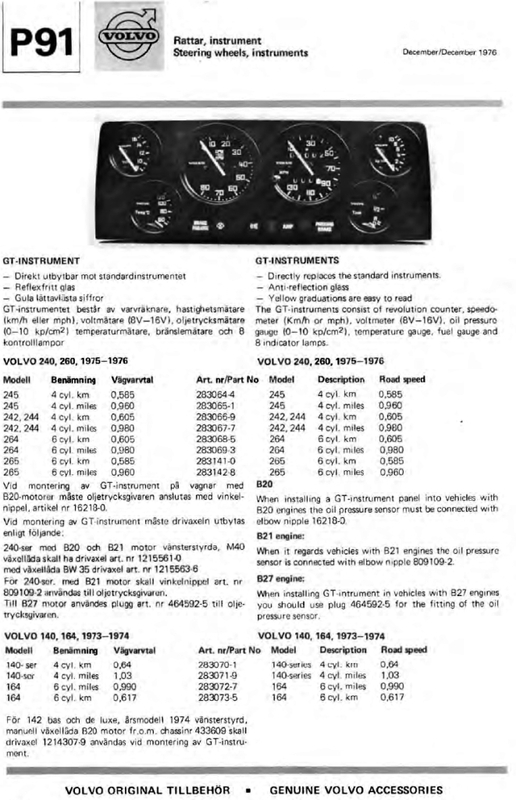 Here's the catalog page with part numbers. I don't have a part number on mine. 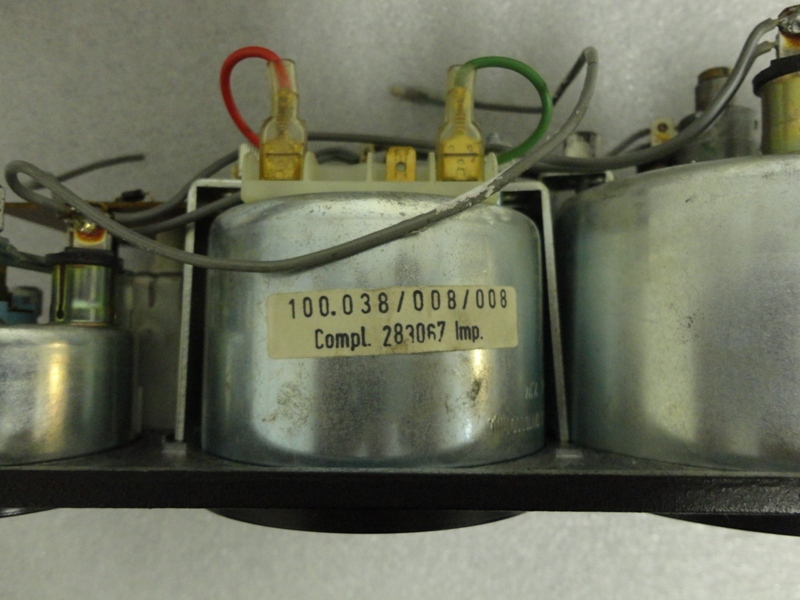 Looks like I need a different oil pressure sensor? Any ideas on the extra wires coming out the back of the cluster on mine? How many wires do you have? There should be 6. 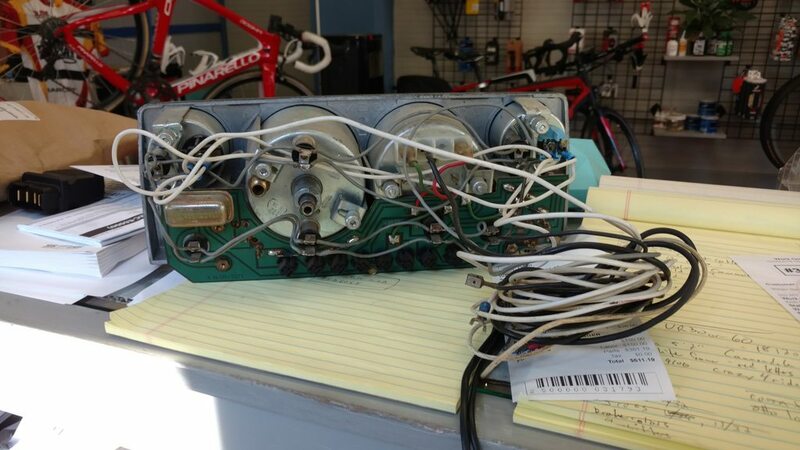 A ground for the dash lights and one for the gauges, power for the gauges from fuse 3, power to the dash lights from fuse 12, a connection to the tach from the coil (-) terminal and a connection to the oil pressure sender. Yes, you need a 10 bar oil pressure sender and an elbow so the sender doesn't hit the alternator. If you have a B230 you'll also need an adapter. What is the 'W' number on the back or side of the speedo? Indeed I have 6 wires, good info, thanks. I have a b230ft so I guess I need those three things. 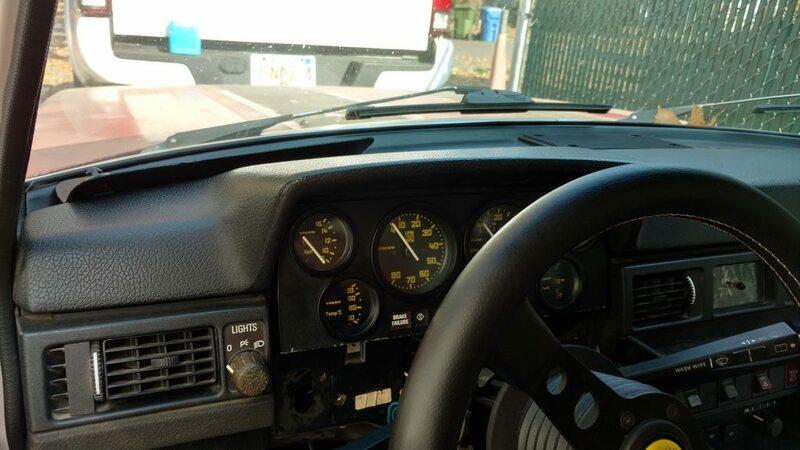 I already have a tach, do I get rid of the current wire going to that? 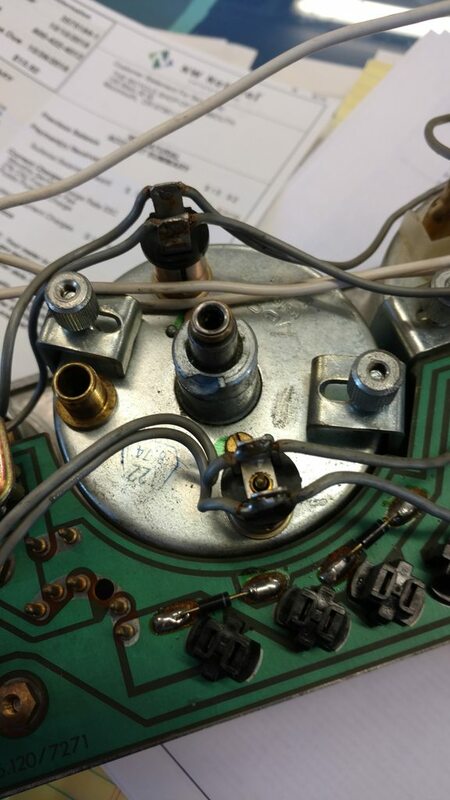 You can connect the wire that's currently going to your tach to the R-Sport tach. Just remove the black wire that's on there now and connect it to that terminal. The 'W' number is probably on the side of the gauge. It may not be visible without turning the gauge. Okay, I'll check that out tomorrow. Going to pick up some intercooler pipes from STS then take a stab at the cluster, I'll keep this updated. Are the correct threads 1/8 npt for the part from Ben's? Yes, the sender and elbow are 1/8" NPT. Attempting install now, for the two grounds, can I ground them anywhere? Sounds dumb just want to make sure. Yes, you can ground them anywhere there's metal that's attached to or part of the chassis. Got them grounded on the column. Got the oil pressure wire run, waiting on the rest of those bits. Tach is hooked up. Need to extend the #12 wire to extend, #3 is hooked up. If I have everything else hooked up but the oil pressure will it still work/start up? Followed the advice on here and the original instructions and it works! Need to get some bulbs, couple of the dash lights out. Didn't get a chance to check to see if it lights up at night. Also waiting on the rest of the oil pressure parts, but for the time being the wire is run to the engine bay. The gauges are easy to see...kinda. I might start messing with my seat height as the top of the wheel, if I'm honest with myself, totally obstructs the two gauges top left and top right. 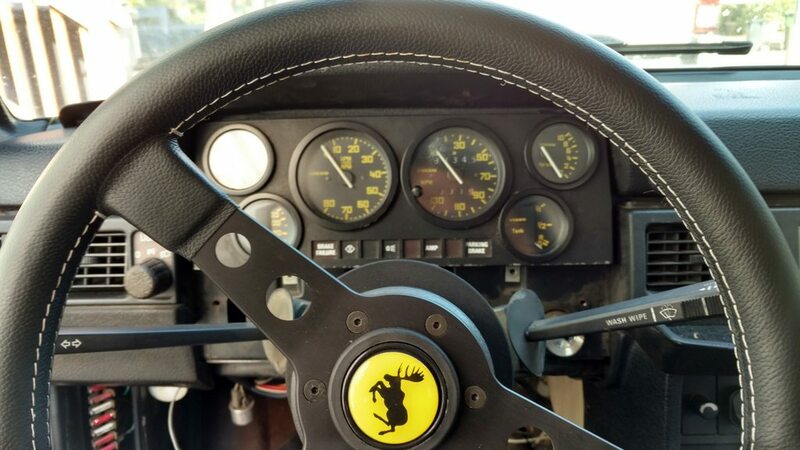 It cuts the top of the speedo and tach off but that's still better than the original setup. Hyper F. is The Man. Updates, having trouble posting a vid of the speedo. Speedo is all over the place, looks like it's seen better days. I know these need to be sent out and rebuilt, hoping to make sure everything works before taking them back out to be rebuilt. Speedo is wacky, needle is all over the place and not consistent. Oil pressure is at 4 bar at startup, settles down just under there and under throttle is over/at 5 bar. Seems to work great. Volts jump to 12 and stay there no matter the engine rpm, what's with that? 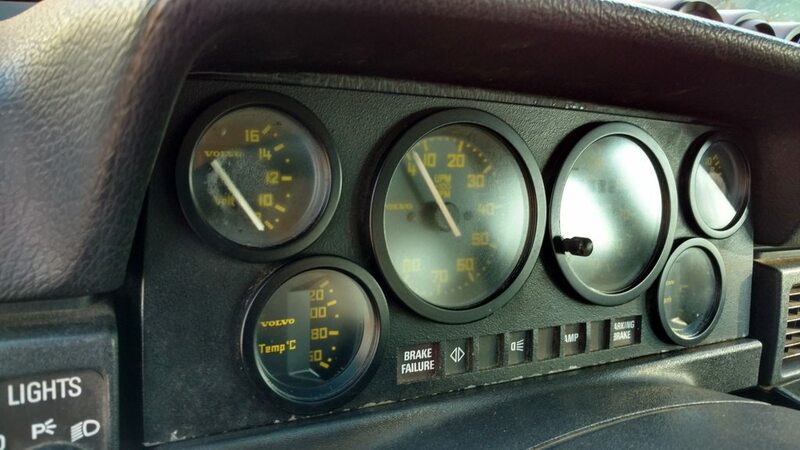 Lastly, there's condensation in all of the gauges save the tach. I put my hand on them and they're all hot/warm. The lights in the gauges are on as soon as the car ignition is on, the headlight switch and gauge dimmer does nothing.